Powerful site template designed in a clean and minimalistic style. This template is very flexible, easy for customizing and well documented, approaches for personal and professional use. 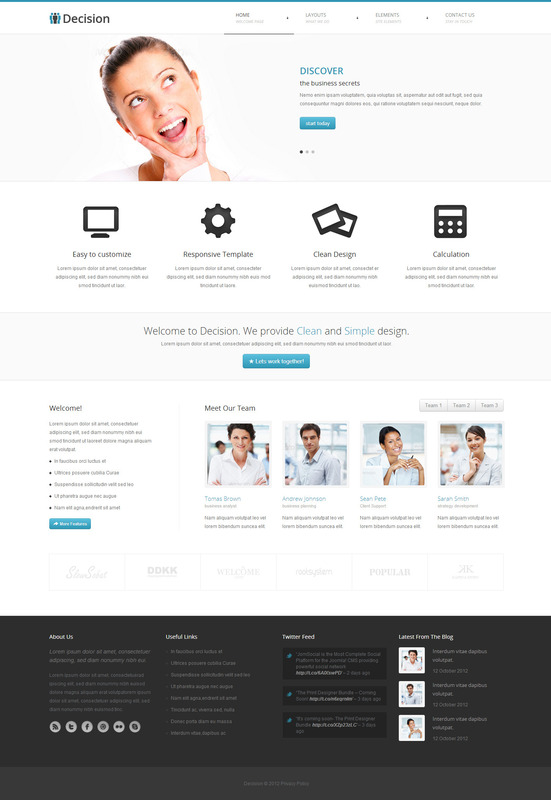 Decision has been coded in HTML5 & CSS3 and jQuery. 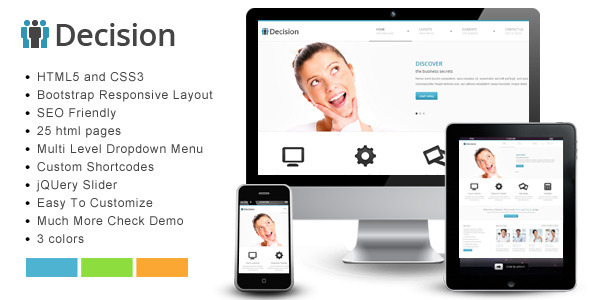 It has a solid flexible responsive layout that scales from 240px to 1200px width. Follow me to be notified for future updates! iPad and iPhone TESTED !